The form series by Simon Legald by Normann Copenhagen is made up of perfectly shaped, classic chairs that now includes the office swivel chair for the study and office. The aluminium swivel chair is equipped with a frame that branches out into five legs with castors, giving the seat its masculine appearance and comfortable flexibility, especially in the workplace. The base is available in black, white and polished aluminum. The seat without armrests is ergonomically designed and optimally adapts to every body. It is made from polypropylene and is available in various colours. Thanks to the gas spring, the seat can be adjusted in height from 37 to 50 cm. All of these characteristics as well as the simple, timeless and elegant look of the chair mean that it is ideal when sitting at a desk. 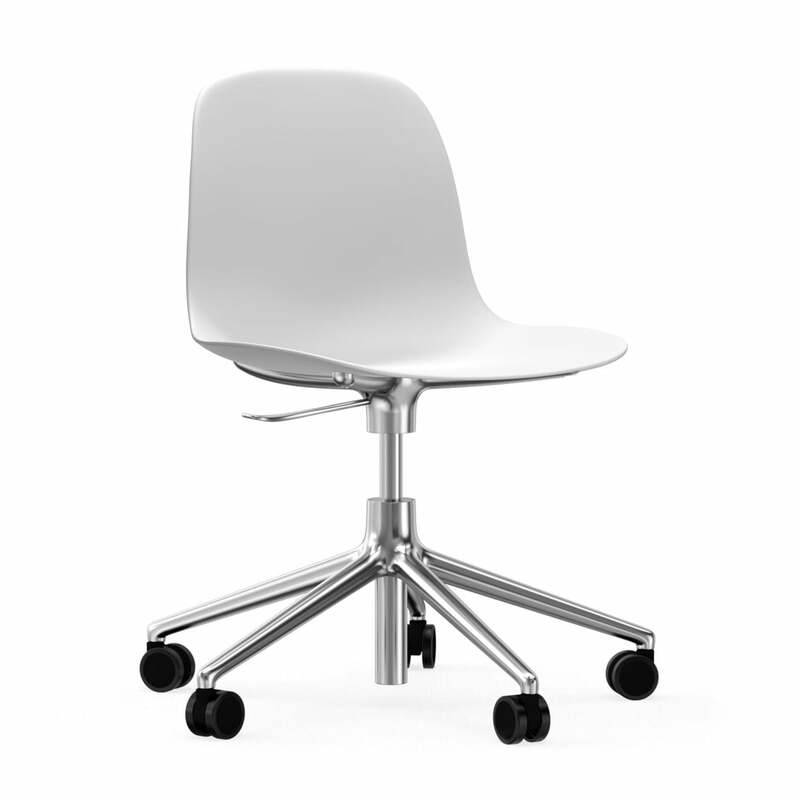 In addition to the swivel office chair, many other variations of chairs are also available as part of the Form series. 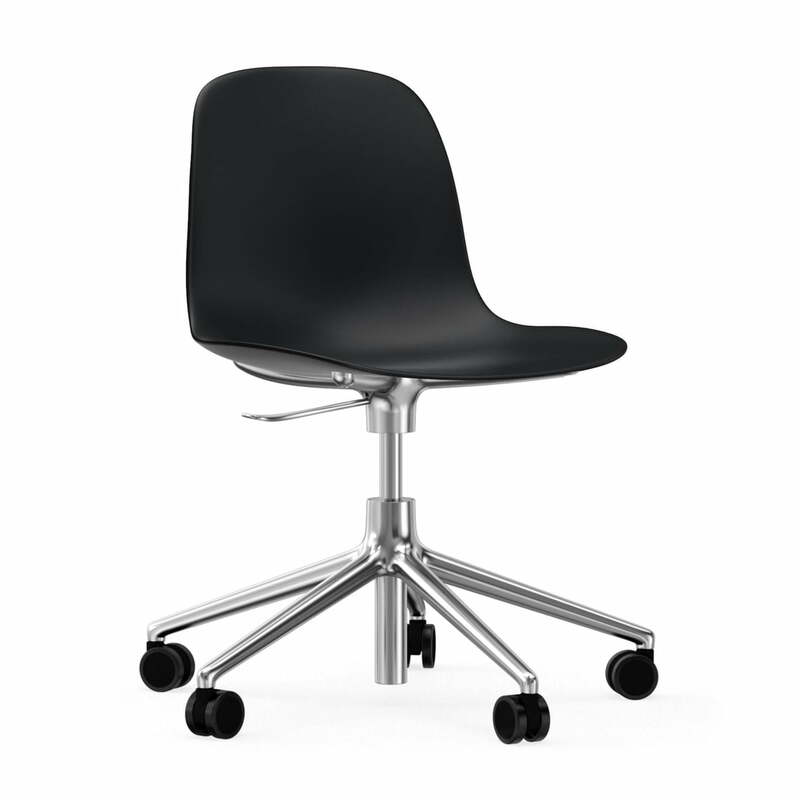 Isolated product image of the Form swivel office chair by Normann Copenhagen in black / aluminium. Thanks to the gas spring, the chair can be adjusted in height from 37 to 50 cm seat. Form Swivel Office Chair by Normann Copenhagen in White / Aluminium Thanks to the gas spring, the chair can be adjusted in height from 37 to 50 cm seat. The Form office swivel chair by Normann Copenhagen was designed by Simon Legald and is a practical, elegant and timeless seating solution for the office. 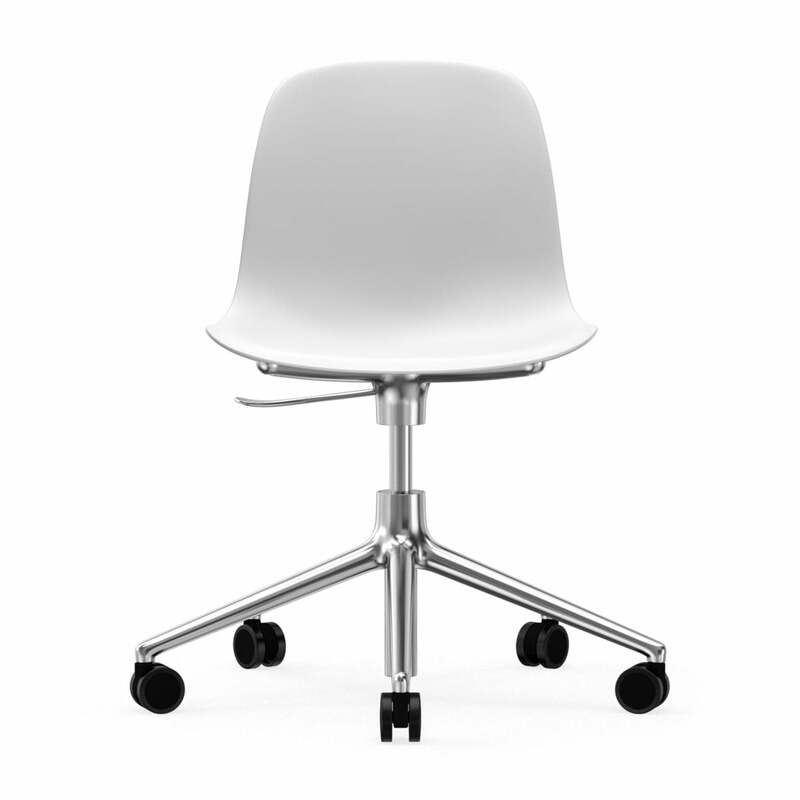 Isolated product image of the Form swivel office chair by Normann Copenhagen in white / white aluminium. Thanks to the gas spring, the chair can be adjusted in height from 37 to 50 cm seat. 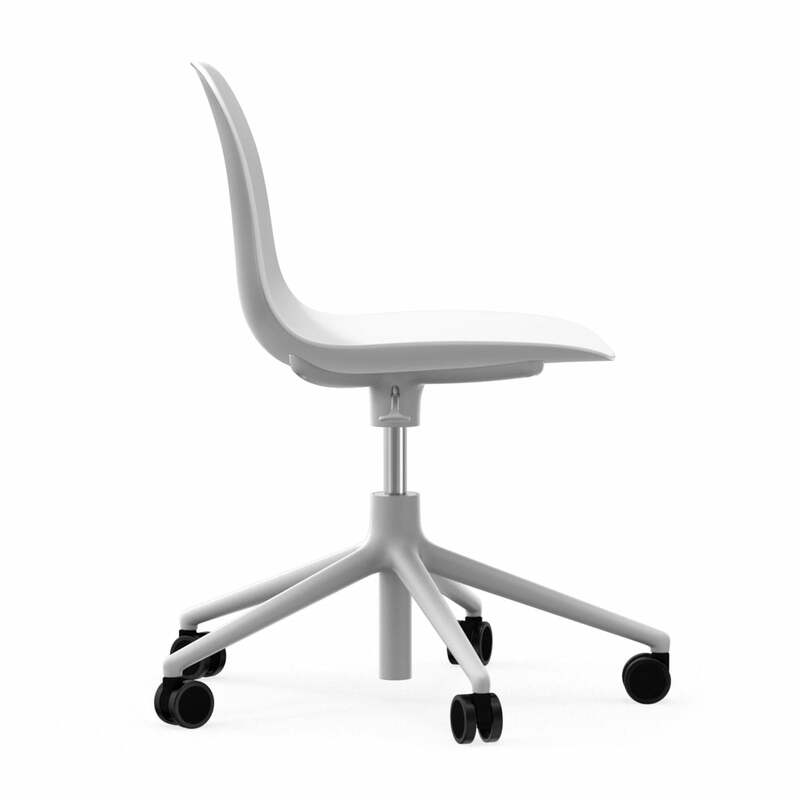 Isolated product image of the Form swivel office chair by Normann Copenhagen in white / white aluminium. 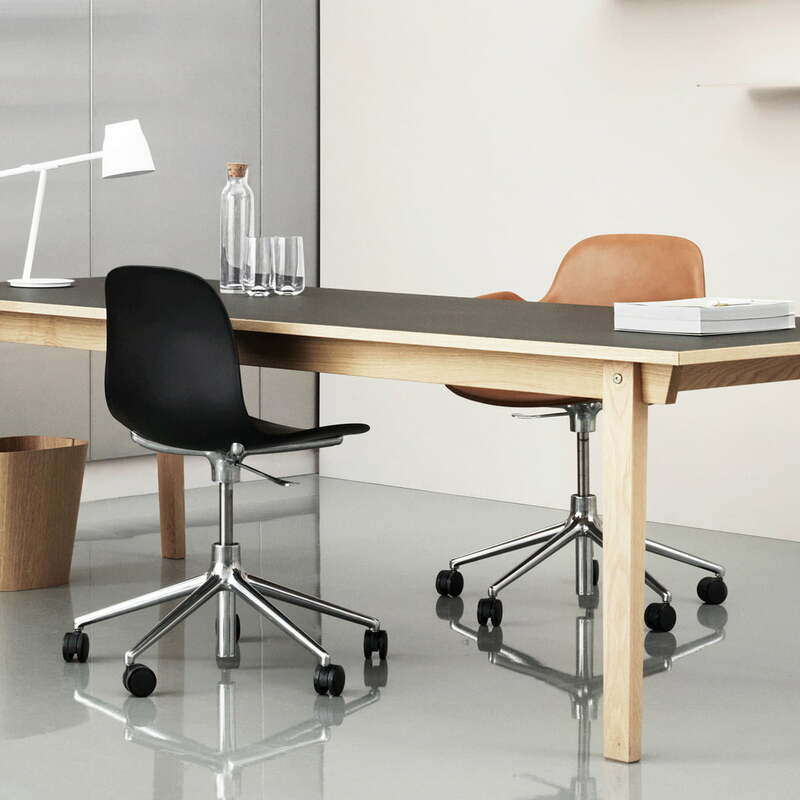 The practical features as well as the simple, timeless and elegant look of the chair mean that it is ideal when sitting at a desk. Form Swivel Office Chair by Normann Copenhagen in Black / Aluminium. 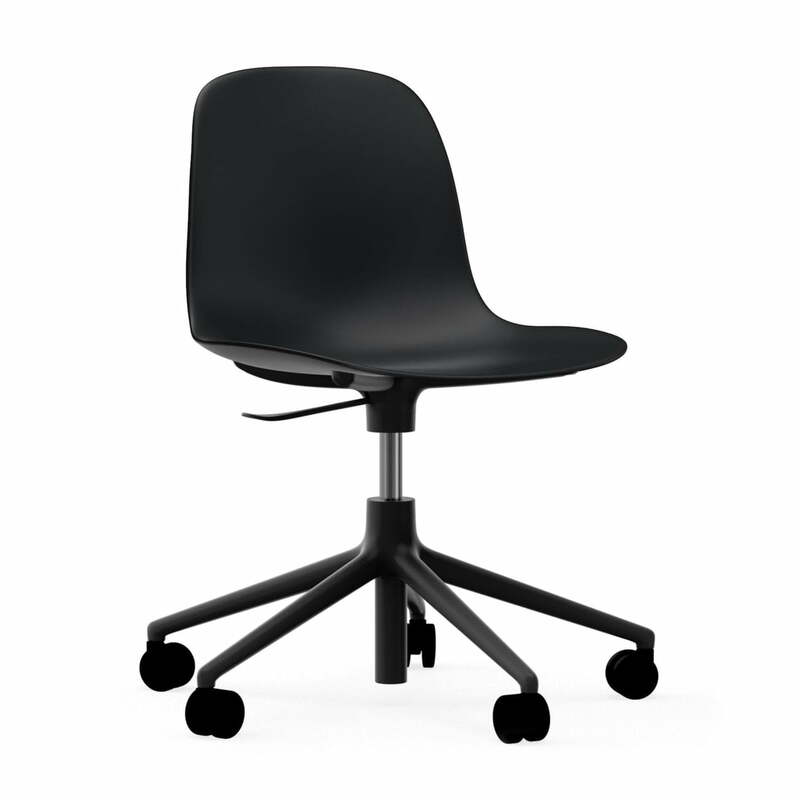 Isolated product image of the Form swivel office chair by Normann Copenhagen in black / aluminium. The seat without armrests is ergonomically designed and optimally adapts to every body. The base of the aluminium swivel chair branches out into 5 legs with castors, giving the seat its masculine appearance and comfortable flexibility, especially in the workplace.